Heshouwu is a very precious and valuable Chinese herb and according to “Compendium of Material Medica”, it is particularly effective in enriching the blood and tonifying the kidneys (Shen) and giving strong and dark hair. Haveron® Hair Rejuvenating Shampoo for Women is a Chinese herbal shampoo made from Processed Heshouwu and other precious Chinese herbs such as Lingzhi, Danggui, Glossy Privet Fruit etc., and is formulated exclusively for women in treating hair loss and hair whitening problems. This elite formula has been scientifically proven* to help strengthen every strand of your hair as it cleans, giving you new, healthier, stronger, darker hair. For better results, use daily with Haveron® Ultra Strength (oral) Formula for Women. Medical professionals indicated that the reasons for men’s and women’s hair loss and hair whitening are actually different, and therefore the treatments needed in treating men’s and women’s hair loss and hair whitening problems should also be different. 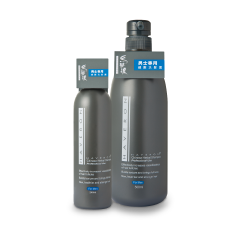 Haveron® Hair Rejuvenating Shampoo for Women is a Chinese herbal shampoo formula made exclusively for women in treating hair loss and hair whitening. 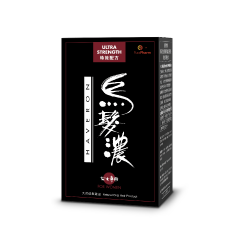 This exclusive scientific shampoo formula made from precious Chinese herbs such as Processed Heshouwu, Lingzhi, Danggui, Glossy Privet Fruit, etc., has been scientifically proven to help enhance nutrients absorption and oxygen uptake. It can mitigate various hair loss and whitening problems due to work pressure, or excessive perming/dyeing, giving you new, healthier, stronger and darker hair. Herbal ingredients of Haveron® Hair Rejuvenating Shampoo for Women help to facilitate nutrients and oxygen uptake. Herbal ingredients of Haveron® Hair Rejuvenating Shampoo for Women helps to act as anti-oxidant and reduce harm to hair, and also helps maintaining blood and nutrient flow. 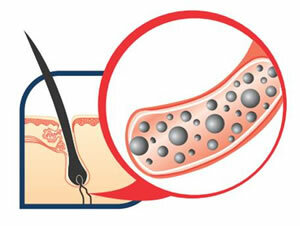 The above-mentioned effect is based on an experiment on Haveron® extract on blood vessels 1. Haveron® Hair Rejuvenating Shampoo for Women is made of Haveron® extract. Processed Heshouwu, Lingzhi, Danggui, Glossy Privet Fruit, etc. Apply appropriate amount of shampoo to wet hair. Gently work into lather. Massage scalp into thinning areas with fingertips for 1-3 minutes. Rinse thoroughly with warm water. Repeat if desired. For external use only. Avoid contact with eyes. If accidental contact occurs, rinse immediately with water.